Heads up, Denver: the 14th annual Restaurant Week is almost here. From February 23 to March 4, over 200 local restaurants will be offering up multi-course dining experiences for one set price: $25, $35, or $45. From classic standbys to trendy newcomers, there are plenty of options to pick from. And the best news of all? We did the hard work for you and narrowed down the list to only the best deals. You’ve got 10 days to make it all happen. Bon appétit. It’s only a few months old, but Bindery has gained a ton of fans for its modern, creative spins that compose an anything-but-boring menu. And their inaugural Restaurant Week offerings are no different. If you make the right picks, you’ll get a $65+ four-course meal for just $45. That’s some serious savings. So what are the right picks? First up, rabbit rarebit, a cheesy treat on toast starring beer-braised smoked rabbit. Next, stick with the theme of indulging in atypical proteins and go for the hand cut pappardelle with sweet & sour wild boar, dark cocoa, and mint. For the third course, you’ll have to choose between Boulder hen coq au vin or braised beef cheeks... or just bring a date so you can sample both. Finally, end the meal with the ultimate sweet ode to the state, the baked Colorado with tres leches cake, dulce de latte ice cream, and bitter caramel. 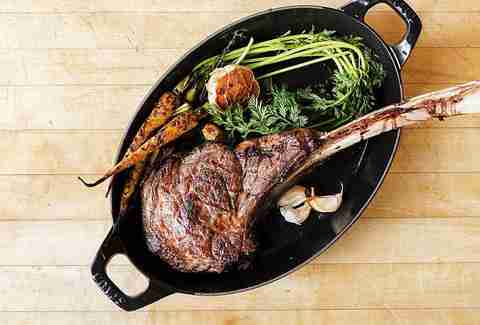 This new addition to the Denver dining scene is serious about their meat. 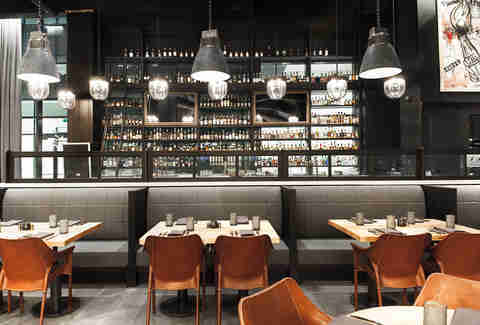 With an on-site dry-aging room and wood-fired entrees, it’s a must-hit. It’s pretty clear what you should be ordering off their $35 Restaurant Week menu: the 12-ounce New York strip. The 18-ounce version of this dish is $54 on the regular menu, so you’re getting your money’s worth with this entree alone. Add in a soup or salad for a starter and their mesquite-fired mussels in a bright Dijon broth for the second course and bask in the joy of knowing you basically just scored 75% of your meal for free. 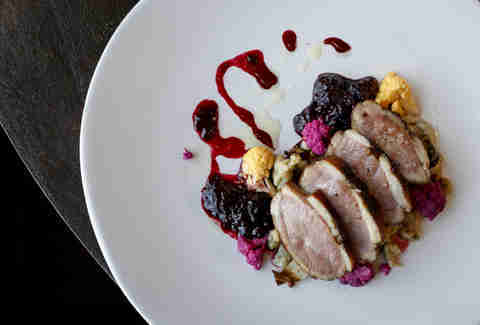 A quirky spot that embraces the unexpected, there... is doing Restaurant Week a bit differently. If you love a lot of choices, this is the spot for you. For $35, you’ll start by choosing of two of 12 “bites.” Each is comprised of a protein, served on options like warm doughy buns and tostadas. Next, you’ll build your own custom skewer by picking from five different proteins. Wrap up this choose-your-own-adventure meal with a choice of veggie and the main event -- a salad topped with 3 ounces of wagyu steak. Plus, if you come with a large group, expect additional menu options (which means possible bonus bites for you). Coming in with a menu at the low, low price of $25/person is this neighborhood favorite for soul-warming noodles and tantalizing steamed buns. And that’s exactly what you’ll be getting. You’ve got choices for each course, but this wise will opt for the suckling pig or confit duck steamed buns to start. Next up, a steamy bowl of pork udon in a plum soy broth. On a typical night, those two courses alone would come with a bill of around $30, so you’re getting a deal already, and you still get to enjoy dessert. Keep it classic with some stellar soft serve or the strawberry & Thai basil panna cotta. Either way, you’ll be ending the meal on a sweet note and with a few extra dollars in your bank account. A sleek and sophisticated destination for modern American cuisine, Concourse is the place to pick if you’ve got someone to impress (and someone who knows how to really eat). You’re getting a total of five dishes to sample instead of the typical three, all for $70/couple. All courses are large servings and meant to share, so it's best to now bring a picky eater along on this outing. Pick not one, but two starters from a list that includes bacon & octopus risotto balls and a celery root soup with apple-maple foam. Add in a second course like luscious bison Bolognese. Getting full yet? There are still two more courses still to come. Hopefully you’ve saved room for coq au vin, or a Duroc pork loin, and of course, don’t forget about dessert, 'cause affogato is one of the options -- and it’s the one you should try. Almost every restaurant week menu includes a dessert, but if you’d rather skip the sweets and get more savory grub instead, head to LoDo for a dessert-free three-course meal. 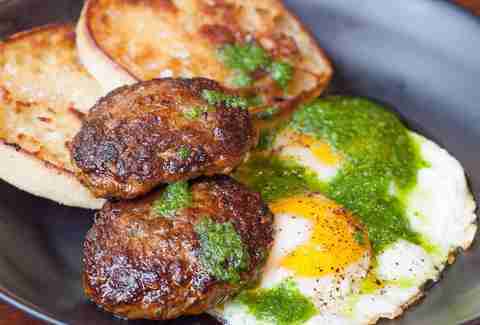 Entrees alone at this New American spot typically cost around $30. Throw in two starters alongside, and you’ve got yourself a $50 meal for just $35. The tuna tartare with black truffle aioli is the best deal for the first course with a normal price of $16. Then move on to the confit octopus, followed by your choice of entree from four off-the-menu options -- one of which is a lobster agnolotti with bacon jam, which should make picking pretty easy. When a craving for Italian food happens, head straight to Coperta for four courses of delicious food for $35. 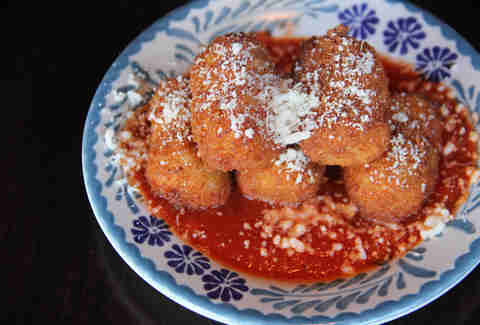 Start your meal by opting for the suppli al telefono, crispy fried balls of risotto with prosciutto and melty mozzarella. Next up, take your pick of pastas, from the classic cacio e pepe to pappardelle with monkfish sugo. Then your third course pick (and the best part), the chicken thigh allo diavolo. It costs $21 alone on the regular menu and though chicken is often thought of as a safe (read: boring) choice when dining out, this fiery take on it is an exception to that. Wrap the meal up with a soothing serving of extra virgin olive oil gelato, a flavor that is way more deserving of popularity than vanilla. 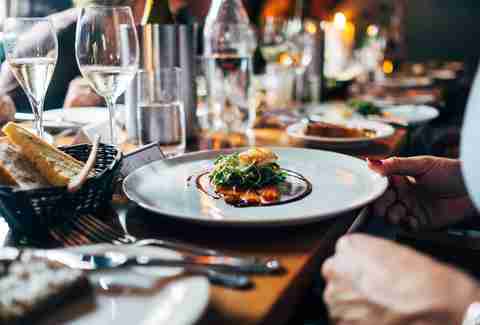 Restaurant Week is the perfect time to explore the new additions to the dining scene, but it also gives you the chance to visit classics that may be outside of your normal budget. 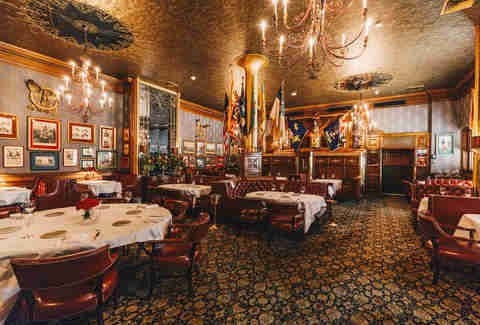 Exhibit A: this historic, white tablecloth destination in the 125-year-old Brown Palace Hotel. Their three-course deal for $45 includes your choice of starter -- try the salad for the Colorado double cream cheese alone. 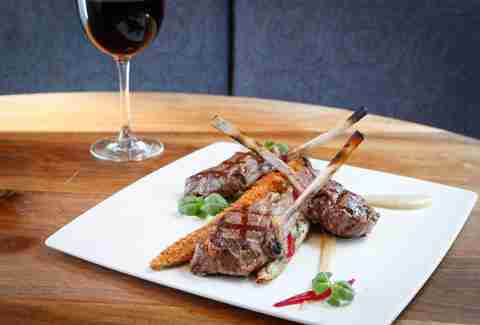 Then get ready for the real draw, the Colorado wagyu beef which would typically cost you $38. You’ve already saved over $10 and there’s still dessert to come, luxurious Valrhona chocolate with Nutella, citrus, and passion fruit. A newly opened distillery and restaurant, Family Jones is doing their first Restaurant Week right with a three-course menu for $25. Typically, three courses here would set you back about $35. So yeah, you’re saving cash, but you’re also getting to taste totally new, off-the-menu options that you couldn’t get during a regular night out here. The only downside to dining here? It’s gonna be hard to pick what to order, so come with a few friends so you can sample more dishes, like the braised pork cheek pozole, Vietnamese jambalaya, and a roasted sunchoke soup complete with “quacklins” (that’s duck cracklings). Round out your meal with an entree (we recommend the beef short rib Wellington) and a dessert like gin and tonic sorbet. Cocktails are not included but you’re at a distillery, so take that $10 you saved on food and treat yourself to a well-deserved drink. If you’re going to go out for Restaurant Week, why not go all out? Sure, $45 for three courses is still a pricey meal, but when one of those courses is a roasted king salmon that would typically set you back $36 on its own, you’re still getting an amazing deal. 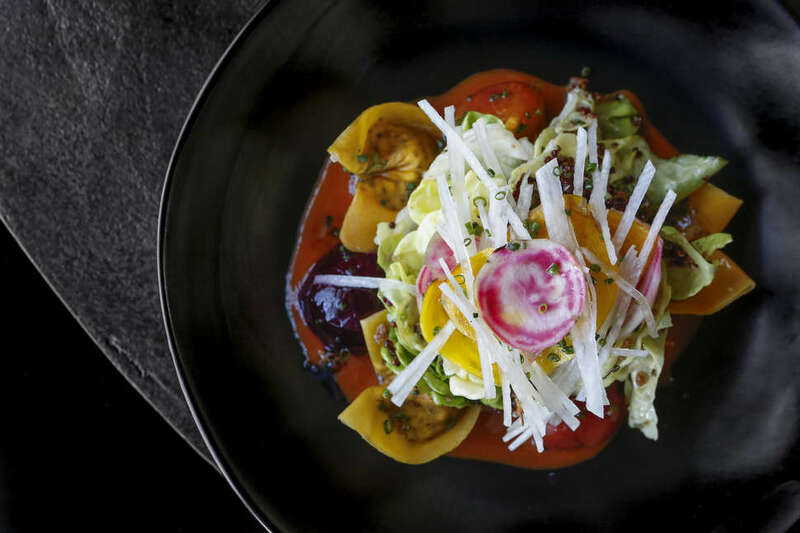 And you’re getting the chance to sample the offerings at another of the city’s newer restaurant options where chef Jeffrey Wall has been shaping his take on Colorado cuisine. Just beware, you will be tempted by the massive wall of whiskey waiting at the bar. Before you bite into that salmon, opt for the beef tartar to start (especially if you’re looking to get the most out of your money -- it rings on at $16 on the regular menu). Then sit back and relax with your free dessert, a choice of malt profiterole or a strawberry madeleine. Molly Martin is a freelance writer in Denver, Colorado who has eaten a whole lot of food at all of these restaurants in the name of research. Follow her tasty Mile High adventures @mollydbu on Twitter and Instagram.